The FC Barcelona captain highlights that the English side "bring back some of my best memories on a personal level" and explains that he expects a very tricky Champions League tie against them. Andrés Iniesta spoke this Wednesday at the Ciutat Esportiva training ground, commenting on all the latest events at FC Barcelona. 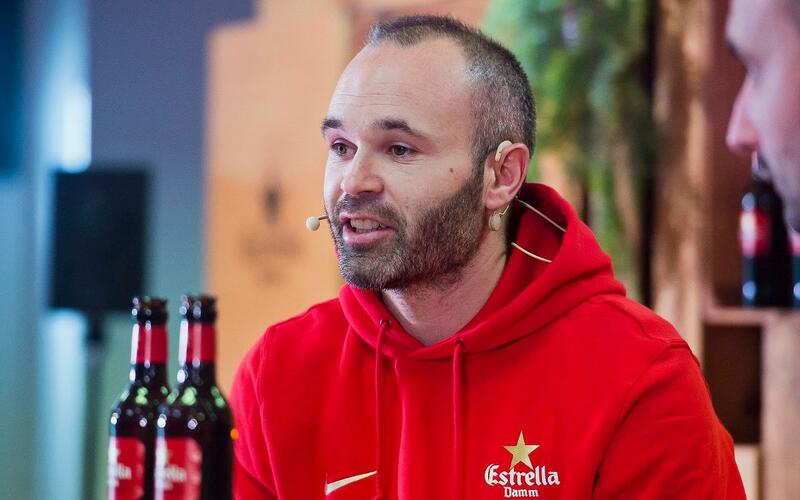 The captain was present for a campaign promoted by FC Barcelona and Estrella Damm (an official club sponsor) in which 14 winners got to meet Iniesta and experience a typical day in his life. At the event, he explained that "these contests have been held for many years, and they are really nice and special for everyone." He also evaluated Barça's upcoming Champions League tie against Chelsea, saying: "It's a very tough, difficult draw for us, against a team who are very strong in every sense. We will try to take another step forward in the competition." He also reminded those in attendance of his good record against the English club, commenting that "I've got memories of games against Chelsea, that are amongst the best I have on a personal level." "I've had some of my best moments on a personal level against Chelsea"
Regarding FC Barcelona's current form, Iniesta stated that: "It's very difficult to not lose any game, but we're celebrating the moment we're in at present. We have room to keep improving, and the mindset and motivation to continue growing." "We know that the rest of the season is important and will be tough, but to me the team seem very solid," he added. As for his own form, the Spaniard explained that: "I feel good and I hope to be available for Sunday. I'm optimistic." Asked about his challenges for 2018, Iniesta said: "We want to win every trophy that we weren't able to win this year. Personally, I hope that I avoid injury and can continue enjoying my football." To round off the event, the Barça captain dedicated a few words to his teammates, repeating that Lionel Messi "is the best in the world" and singling out Gerard Deulofeu and Denis Suárez as "two players with great qualities, and a level of talent that will allow them to be very important to Barça."